Who wants to make 2017 their best year of pottery? I know I do! Let’s set some goals, make a plan, and find some resources to make it happen. 2016 as a whole had some ups and downs for sure. As I look back at my own personal year in pottery I thought it was pretty good. I reached some of my goals, improved my skills and sold more pots than the year before. So as I’m planning the year ahead, I’m inviting you to come along and plan to make 2017 your best pottery year as well. You are probably already familiar with setting goals and you probably already have some idea what you want to do in the next year. If not, now is the time to start thinking. Imagine yourself at the end of an ideal 2017. What have you achieved? How does it feel? Let’s make it happen! As I go through the year I try to make a smart goal, focus on one thing at a time, schedule everything and stick to it. Below is the process I usually use for my own personal goals. It may not be perfect for everyone. Do you do it different? Do you have any advice or resources? We would love to hear from you. Leave a comment or send me a note. Start a brand new website? Great! Now I know what I want. Now, how to make it happen? Looking back on my work from 2016 makes this easier. It seems like the more potters I meet, the more I learn, the more inspired I get, and the more perspectives I consider. 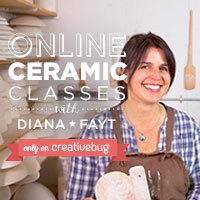 Attend as many pottery events as you can – sales, shows, workshops, lectures, conferences, etc. Join a community: art center, local club, Facebook group, Etsy team, Potters of Periscope, etc. Now we should have some specific targets. But that seems like a lot of targets and there’s only one you. Let’s narrow it down so we can have a little more direction. Here is where you decide what to focus on. A clear focus is the most important thing. Pick one thing! It should be the thing that will lead to the most success. Why would you focus on anything else anyway? This will be the thing that always gets your time or investment when there is a choice to be made. Of course, it is not the only thing we will work on all year. But it should be the most important. Let’s start with improving my work. In my case, I’ve focused mostly on mugs and cups in recent years and have found a few forms that I’m happy with. My handles have improved in the past year but could use a little more refinement. I make a lot of one-off pieces but I’m starting to develop my own style. So, perhaps my main focus should be to expand my range of forms past cups and mugs. And as I do that I can also experiment with some new surface techniques or apply some design elements I use in my mugs to new forms. So I should have at least one specific outcome that I want to WILL happen this year. Personally, I will probably pick one specific goal from each of my original areas to work on since I’ll be working in these areas throughout the year anyway. Tracking progress will let us see what works and what doesn’t. So it is a good idea to have some kind of number as part of your goal. In other words, make it measurable. Instead of saying, “I want to explore new forms,” you might say, “I want to focus on one new form per month.” Or, “3 hours per week will be dedicated to a new form.” That way, you can see what kind of results you get for the time you put in. Of course, the problem with some goals is that they don’t really need a number attached or the quantity isn’t that important. Maybe “cleaning your studio for 20 minutes every day” will actually be less productive than getting in a habit of cleaning as you go, streamlining your cleaning process, or hiring someone to do the grunt work? Maybe “taking better photos” for your online shop just means checking to see if the pot is in focus and taking an extra close-up shot for the details? Sometimes we get discouraged when we don’t hit a certain number in our goal but maybe we just need a slight change in a process or habit. Studies have shown that writing down your goals and using them as a visual reminder increases the likelihood of achievement. Do it now! Write down a specific goal, and maybe one secondary goal from every other area that you want to improve. Put it up in an appropriate spot. Above your wheel or table if it’s about making better pots. On the side of your computer screen if it’s about online promotion. Now we have at least one goal written and posted! It probably won’t happen unless you make some sort of investment. Are we going to invest time? Money? Resources? How much? How often? Below, let’s try to think about what certain goals might require and list some resources to help us achieve our goals. Some of these links are affiliate links which means if you click on a link and make a purchase I receive a fraction of the purchase price at no extra cost to you. This money helps cover the cost to operate this site. Galleries and Shows – visit a local gallery, museum or show. There is nothing more inspiring than seeing great works in person! Online galleries – Schaller, Companion, Charlie Cummings, Trax, Ferrin Contemporary, Crimson Laurel, etc. Pinterest – I like Pinterest because you can see loads of great pots without distractions that other social media seems to have. Look for specific boards about handles, spouts, glazes, etc. Your Own Pot Collection – take a look at pots you own. What do you like about them? How do you think they were made? Clay Blog Review – a whole section about finished pottery! Critiques – get together with some local potters, Facebook Critique group, Clay Crits on Instagram, etc. Workshops – Musing About Mud, Ceramics Monthly, check your nearest ceramic center. For some goals we just need to put in the time to get better. But don’t forget to take some time to see what results you are getting from each change you make in your process. So, if you are trying to make lighter or more balanced pots, don’t just throw a bunch of pots. After each one cut it in half from top to bottom and check the thickness. As you inspect one, think about what you need to do while making the next one so it will be better. And don’t be afraid of a self critique! Start an Email List – It’s easy and most places have a free option to get started. Start a Blog – See Part 1. Upgrade your photo booth – Just a Cube, Including Lights, Professional, so many options! Set up your own independent shop – Shopify, BigCartel, Weebly, Squarespace, etc. Do you have other good resources? Send me a note or leave a comment below! If you have found some useful resources and you know what you’re going to invest, write those things next to your goal. Then as you adjust things throughout the year you can make notes. So, now you should have a specific goal and the kind of investment you think it will take. Now we just need to map it out so we can start to make it happen. Things are more likely to happen with a plan. In previous years sometimes I would write a goal at the beginning of the year. But then I would only work on random parts of it whenever the mood struck me. As you can guess, those goals were rarely achieved. Unless your goal is ultra specific, there are probably multiple steps involved. Make a list of every little thing you will need to do. Break things down until you have steps that will take a day at the most, hopefully a few hours or less. The goal I picked for selling more pots is to improve my Etsy shop, more specifically, have more listings available. So what do I need to do? Pick out a certain number of pots to list according to my goals, make sure bottoms are smooth and no flaws are present, set up shipping profiles for new sizes, organize my photo booth area, photograph pots, write down size and capacity, process photos, write descriptions, price pots, organize inventory, make sure I have packing materials/business cards/notes for each one, share new listings on social media, pay for promotion?, organize listings, cross fingers, etc. Wow, no wonder I haven’t listed a lot of pots… yet. Get your calendars out. In my case, I use the free Google Calendar (the app is preferred over the website). Even though it isn’t perfect, I like the different views, the alerts I can set, how it syncs across my devices and I can even make and share multiple calendars. The best part is that I almost always have some kind of device nearby so my calendar is always within reach. There are plenty of other options as well, even those paper things you hang on the wall. Enter all the things that are already scheduled: workshops, conferences, entry deadlines, significant others’ birthday, sales, exhibitions, time to make regular work, anything else we need to work around. Some steps will be hard to estimate the time requirements. Especially things that you’ve never done before or open ended tasks like research or practice. It has been said that work expands to fill the available time. If you don’t set a limit, your task may keep expanding and never be finished. Setting a limit can also keep you focused on your task and may even help you if you are a perfectionist like I am sometimes. Remember: Finished is better than perfect. Some goals may actually be ‘year long’ goals. But don’t give yourself a whole year to set up an Etsy shop if that is the most important thing you need to do. Give yourself a week or two? Then after you get that finished, change your focus to the next goal. Maybe listing one item every day. Or taking a course to improve your photography. Now we have the steps so we can schedule what needs to be done. First I decide the deadline for my goal. Sometimes that’s done already with an entry deadline, show date, holiday etc. If you’re working on a year-long goal you may want to set up checkpoints throughout the year as your deadlines. Maybe list “x” number of pots online each month or apply to at least one juried show every two months. Personally, I often move my deadline up to give myself an extra day or two. More for bigger projects. Life happens… Then I think about all those little steps in order and pick the one that happens last. I put it on my calendar just before my deadline. How far before depends on how long it will take. Then I move on to the next-to-last step putting it on the calendar before the last step. Keep going back through your list of steps until you have them all scheduled. Some steps don’t have to happen in chronological order. It may be a good idea to schedule the easy or short things earliest if possible because it helps you get started quickly and you build momentum for the rest of the project. Sometimes I give myself double the estimated time for some steps or give myself a catch-up day in the middle in case I get behind or something crazy happens. Now that you have everything scheduled, all you have to do is follow the schedule. Getting started is the key. What has to happen first? Do it today! Or when you wake up tomorrow morning. At the very least, as soon as you get your whole goal scheduled. So, even if you have a lofty goal for the year, you should be able to work on something small and specific right now. And after you get that first step done, moving on to the next step will seem natural. Selling pots online? Go pick out pots you want to add to your shop right now. Exploring new forms? Make 5 sketches of possible ideas right now. Increasing your brand awareness? 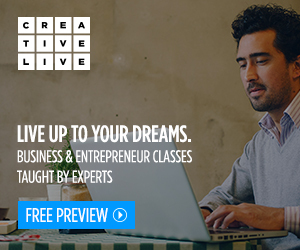 Sign up for an online workshop right now. So, you should have your goal, your resources, your plan and you may even have the first step done. Let’s talk about ways to stay on target. It’s a good idea to share your goals with someone else so they can help encourage you throughout the year and keep you on track. I post my goals on my blog. Do you have a local maker or friend that you can share goals and encouragement with? Maybe a Facebook group or fellow blogger? You can even post your goal in the comments below if you want. About every week I go through my upcoming week and set a daily schedule. I put my most important stuff (the part of my goal scheduled for that day) first thing in the morning. Sometimes I even set a reminder in case I’m already distracted by social media or the news or whatever. I work on it until it is done. Maybe it takes most of the day. Maybe it only takes 30 minutes. With the rest of the day I can do my other things like throw pots, return emails or work on my secondary goals. I usually schedule all these things for specific times too. I am more likely to stay on task and stay productive if I’m following a schedule. There are lots of ways to do this. I find the old saying, “Out of sight, out of mind,” to be mostly true. As I’m typing this, I made sure I closed all browsers and tabs with Facebook, email and everything else. Is your phone a distraction? Leave it in another room. Do you keep thinking about all the other stuff you have to do? Don’t worry about it. It should be on your calendar now. You already have the time and resources covered, you just have to get it done when the schedule says it’s time. Are you way too busy? Maybe you just need to say ‘no’ to more things. The great thing about having a schedule is that you can use your “previous commitments” to say no to things that you don’t want to do. Even if the previous commitments are to yourself or your goals. Can this be applied to our pottery goals? Maybe. We should already have our schedule laid out but making at least a mental note after finishing one step may make it easier to get back into the flow the next day. After exploring new forms for 30 minutes one day I might make note of what change I want to make first tomorrow or a nice element of one pot that I’ll explore during the next 30 minutes. My mind can work on it subconsciously while for the rest of the day and overnight. Don’t get burnt out. Take at least a stretch break every so often. And don’t work 16 hour days for a month on one goal. Take a breath and let your body and brain rest. You will probably be more productive when you get back to your task. Now that you mention it, try to stay healthy in general. Schedule a little time each day for some kind of activity. Studies show that “losing productivity time” for exercise will actually pay off with extra productivity throughout the day. Eat some healthy food. When your brain and body are in good shape, you’ll be more effective. If you are, in fact, a human, you’ll probably mess up, make mistakes, suffer setbacks and have to take care of problems that have nothing and/or everything to do with clay. But that happens to everyone to some extent. Maybe you get off track. Maybe your employment changes. Maybe you move to the other side of the world. No problem. Adapt and adjust. Maybe instead of selling 25 pots online this year I only sell 14. That’s still more than the 8-10 I sold last year! If your goal is important to you, you can find a way to accomplish it. So, let’s say June rolls around and you have already accomplished your goal… First off, take a little time to celebrate! Then you have a decision to make. Can you expand your primary goal? If I sell 40 pots online by October, should I just quit listing things and move on to something else? Probably not. I’m going to set a goal to sell 30 more by the end of the year! But what if I feel like I have come up with 6 really good forms by October and that’s what I was aiming for by the end of the year? Maybe I can concentrate on a secondary goal and come up with 3 new glazes to go with my new forms. I would probably run through this whole planning process again so I can make the most of my last few months of the year. Or maybe since everyone loves my new forms (I can dream!) I take my extra time and just produce as much inventory as possible for the holiday sales. Hopefully, if you’ve read through this whole thing you’ve picked up at least a couple useful tidbits. If you have anything to add, we would love to hear from you. Whatever happens, I wish you as much success and joy as possible in the next 12 months! Now, go make 2017 the best pottery year – maybe even the BEST YEAR – you’ve ever had. This was GREAT!!! Thanks!!! More organized than all the unorganized thoughts running through my mind. I also have a sketchbook I carry around for new ideas- I make notes and drawings.